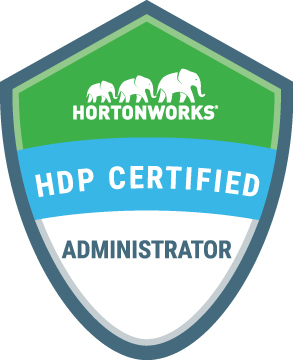 How to clear Hortonworks administrator (HDPCA) certification? In Hadoop administration, We have three certifications provided by MapR (MCCA), Cloudera (CCA) and Hortonworks (HDPCA).I have cleared Hortonworks administrator certification (HDPCA) and also I helped many of my friends to clear the Hortonworks administrator (HDPCA) exam . In that process , I have learned many things about this exam . I would like to share few tips on how to clear HDPCA exam. May be these tips will help you in clearing the certification. Exam will provide 2 hours of time to resolve practical tasks on a HDP 2.3 cluster. Exam result does not provide any score or detailed explanation why you have failed. Exam result just provides either you passed or failed. It is better to follow few tips mentioned below. Try to come online for exam at least 30 minutes before your actual exam time. Hortonworks will send you exam link before 15 minutes , You need to click the link for further instructions about the exam. Once you click on the link , Your examiner will join in webex like environment and will complete pre-checks for the exam. Pre-checks will include checking candidate photo identity card and checking room environment. You need to come online at least 30 minutes before to complete all these formalities. Hortonworks provided cluster could be slow. Use your time wisely. Certification will have GUI base tasks and terminal based tasks. If web UI is taking time to load, Go to terminal to perform another task. Due to slow cluster , You may not be able to complete all tasks in time. Talk to your examiner about cluster slowness, He could give you some more time for completing your other tasks. If you get fast cluster, You can even complete the tasks much before your total exam time . It is good idea to revisit tasks to verify how did you resolve your tasks. It is very important to read tasks carefully. Every task will complete information on what is expected from you. For example task will mention you that you need to install node manager on the host master1. if you do not read tasks carefully , you might install node manager on the host master2. When your exam starts , you will given gateway node access. You will also be given all credentials for many hosts in the cluster. Do not forget to ssh to master node of the cluster . Even though it is known thing for many people , some times we forget about that. at least I forgot to ssh to first master node and was trying to resolve some tasks on gateway node itself. Mock exam on AWS is almost same as original exam. It is recommended to try mock exam before taking actual exam.Mock exam will give you real exam experience, Mock exam can also give you confidence to attend real exam. The following is the syllabus for HDPCA exam along with tutorials. In this article we will learn how to enable high availability for name node. Nam node high availability has more than one name node. One of the name nodes will be active and it will responsible for serving user requests. Other namenodes will be in stand by mode, Standby namenodes will read meta data of active namenode continuously to be in sync with active namenode . If active namenode goes down , One of standby namenodes will become active to serve user requests that to without failing running jobs. By default, Hortonworks Data Platform setup will include namenode and Secondary namenode in HDFS service. In this scenario if namenode goes down , entire cluster will down and running jobs would fail. To address these issues ,We need to enable High availability (HA) for Name node. Namenode HA will fail over to other name nodes automatically to avoid cluster down scenarios . The picture below confirms we have namenode and Secondary namenode in the cluster. We need to enable Namenode HA to have active namenode and standby namenode. Click Enable Namenode HA to enable HA for name node. This will open namenode HA wizard. We need to enter nameservice ID in the first step. Nameservice ID will resolve to active namenode automatically. All hadoop clients should use nameservice ID rather than hard coding active namenode. In this step we need to select hosts for additional namenode and journal nodes. This step provides complete information about what wizard is going to install and what configurations wizard is going to add/modify. We can go back and modify things at this step if we want. Click Next to go to next step. In this step , Wizard asks us to perform two things. **** Please note we need to run given commands only on specified node. Once these commands are run successful, Next button will be enabled. Installing journal nodes on specified hosts. Modifying configurations with required properties for Namdenode HA. Click next once all these operations are completed. This step asks us to run initializeSharedEdits command on first master node. This step performs two things. Click Next once two operations completed. This step asks us to run two commands on two master nodes. We need to run formatZK command on first master. We need to run bootstrapStandby command on second master. **** Please note we need to run given commands only on specified nodes. This step performs below things. Starts additional namnode on specified node. Install Zookeeper Failover controllers on two master nodes. Starts Zookeeper Failover controllers on two master nodes. Deletes secondary namendoe as it is not required in namenode HA. Click Done once above operations are completed. Apache Ambari reloads automatically after enabling HA for namenode, displays active namenode , standby namenode, journal nodes and Zookeeper failover controllers. The picture below shows all of them. Let me know if you are struck anywhere while enabling HA for namenode. In this article , We will learn how to enable Resource manager (RM) High availability (HA) using Apache Ambari. In resource manager high availability , Hadoop cluster will have two or more resource managers.One resource manager will be active and other resource managers will be standby. Active resource manager is responsible for serving user requests. if active resource manager goes down, one of Standby resource managers will become active resource manager and will serve the user requests without failing running jobs. By default HDP comes with single resource manager without HA, We need to install one more resource manager and modify/add properties to enable Resource manager HA. If no HA is enabled for resource manager, You will see only one resource manager like shown in below picture. Click on enable Resource Manager HA under service actions to initiate enabling RM HA. The picture below shows enable Resource Manager HA option. Ambari opens a new HA wizard that will walk us through enabling RM HA. We need downtime for cluster to enable HA. 1 hour down time is recommended .depending on the cluster size, You can plan for more down time. This is information step , read and click next. We need to have one more resource manager for HA. We will select a node to install one more resource manager in this step. Click next once a node is selected. In the picture below , I have selected node master2 to install one more resource manager. This is a review step. We can go back to previous step if we want to modify anything. The picture below show additional resource manager is going to be installed on master2 node. We can go back and modify if we want to modify that node to something else. Else just click Next. Some new properties need to be added/modified to YARN to enable resource manager HA. This step will show you all properties to be modified/added. This step performs 5 operations . Amabri stops all required services to enable HA. Installs new resource manager on selected node. You can click on operations to see logs. Once all operations are completed, Click Next. Amabri reloads after completing RM HA , We can see two resource managers. One resource manager will be active and other will be standby. The picture below shows two resource mangers and we can confirm RM HA is enabled. Let me know if you have any questions about enabling RM HA using Ambari. In this article , We will learn how to enable rack awareness in hadoop clusters. Assume that cluster has large number of nodes and nodes are placed in more than one rack. If we enable rack awareness , all replicas of block will not be stored in one rack so that we can have at least one replica of block is available for data processing in case of rack failures. Goal of rack awareness is to improve data availability and decrease network bandwidth. 1) Enabling rack awareness without Apache Ambari. In old versions of HDP we used to enable rack awareness manually. Latest versions of Apache Ambari supports rack awareness in GUI. Check the link on how to enable rack awareness manually , You will not require this as most of the latest versions of Apache Ambari are supporting in GUI. Now we are going to see how to enable rack awareness using Apache Ambari . We have a five node cluster and by default we have got all nodes in default-rack. Now we will modify rack for datanode3. Modify rack name to rack-1 and click OK.
Go back to hosts page in Ambari to see rack name for datanode3 is changed. You can see that nodes are placed in two different racks they are default-rack and rack-1. We can also confirm from fsck command and also from hdfs dfsadmin -report commands. The picture below is the output of command hdfs fsck / and it shows number of racks is 2. Let me know if you have any questions on above article. Creating and configuring home directory for a user in HDFS. In this article , We will learn how to create home directory in HDFS for a new user. Every user should have home directory in HDFS if he/she wants to access HDFS. Some hadoop jobs use user's home directory to store intermediate/temporary data . Jobs will fail if no home directory for user. On Local file system , user's home directory is created under /home directory and On HDFS, User's home directory is created under /user folder. First we need to create a user on local file system (i.e. Operating System) using useradd command. And user should be created on all nodes in the cluster. The picture below shows new user nirupam is created and nirupam's home directory in local file system is /home/nirupam. By default , user does not have a password , You can set password using passwd command if you want. 2) Create a directory in HDFS for new user. We need to create a directory under /user in HDFS for new user. This directory needs to be created using hdfs user as hdfs user is super user for hadoop cluster. The picture below shows a new directory is created for nirupam user under /user directory in HDFS. As new directory is created by hdfs user, hdfs user will be the owner of the directory. We need to change the owner of this directory to new user. The picture below shows owner of the /user/nirupam directory in HDFS. Change the owner of new directory created in HDFS to new user created in local file system. chown command can be used to change the owner. The picture below shows changing the owner of HDFS directory /user/nirupam to nirupam user from hdfs user. We need to change the permissions of this newly created so that no other users can have read,write and execute permissions except owner. The picture below modifies permissions of /user/nirupam directory to 700 so that only own can have read, write and execute permissions. 6) Test the user's HDFS home directory. We have successfully created home directory in HDFS for new user. We need to test it now. We will try to upload a new file to HDFS without specifying destination directory. File will be uploaded to user's home directory if no destination is specified. The picture below shows new file is uploaded to nirupam's user home directory as destination directory is not specified. In this article , We will learn how to perform decommissioning of the node managers in Hadoop clusters. Decommissioning process will ensure running jobs moved to different node managers without failing them. If you are using HDP (Hortonworks Data Platform) , You can check Ambari UI to see how many node managers are present in your cluster. The picture below shows cluster has 3 node managers. We would like to decommission one node manager from the cluster. Cluster should have yarn.resourcemanager.nodes.exclude-path property in yarn-site.xml file . If property not present , We should add it. Update /etc/hadoop/conf/yarn.exclude file with hostname on which you want to perform decommissioning of the node manager. I have updated the file with master2 hostname to decommission node manager on master2 node. Run yarn rmadmin -refreshNodes command to initiate decommissioning of nodemanagers. This command needs to be run as yarn user. The picture below shows refreshNodes command is run. Login into Amabri GUI and click on YARN service to check decommissioned nodemanagers. The picture below show 1 nodemanager is decommissioned, I have highlighted it in yellow. Check logs of node manager which you are decommissioning, logs of active resource manager and also logs of the active namenode if decommissioning of node managers is not working.